Stop thinking about art works as objects, and start thinking about them as triggers for experiences." 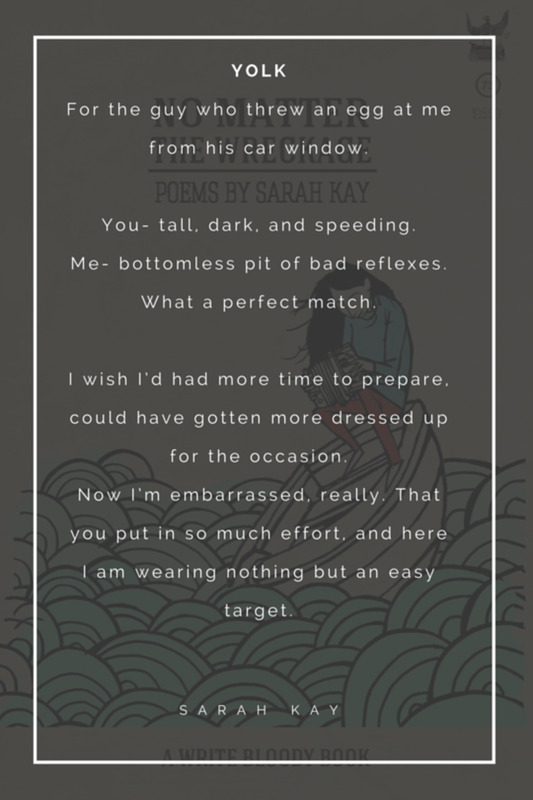 Sarah Kay is a contemporary American poet. 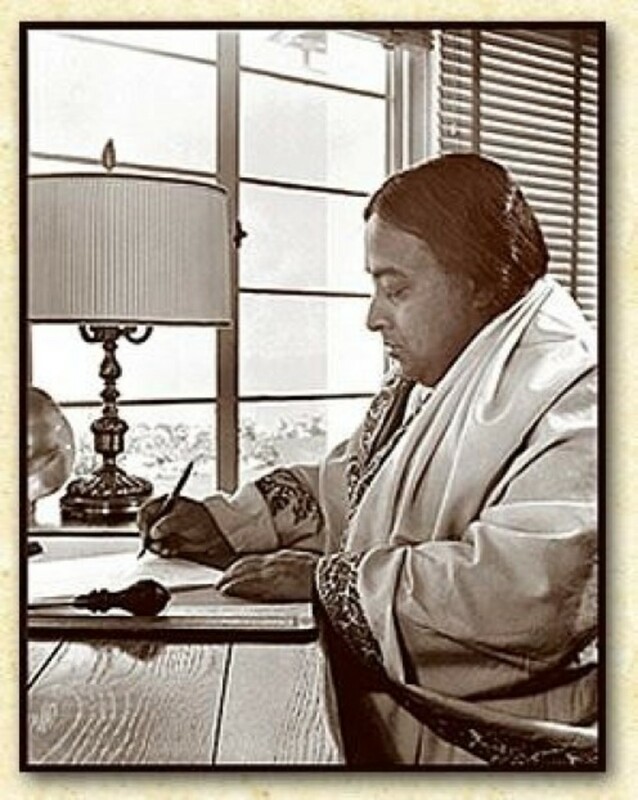 My first contact with her poetry was via YouTube. Writers occasionally read aloud from their works, I knew that. Also, I was a collector of song lyrics; however, I was new to the existence of spoken word poetry. In brief, spoken word poetry artists perform their poems. This art form is lyrical, and, of course, more direct. The poem I first saw her perform in a TedTalk, was “B”. 1. I love life. I know that as I am afraid to die. 2. I don’t know completely who I am. I find this to be true as I’m still defining myself. 3. I know I love the blue in the sky, water, flowers, and in people’s eyes. Yet I yearn to cure the blue in our souls. The moment I first heard Sarah Kay’s poetry was fascinating. “B” is a poem written to a future daughter. I felt the poem in my stomach. For a period, I couldn’t figure out what impressed me: the poem, the delivery, her youth, her authenticity. As Sarah herself expresses in the TedTalk, spoken word poetry has the power to connect. 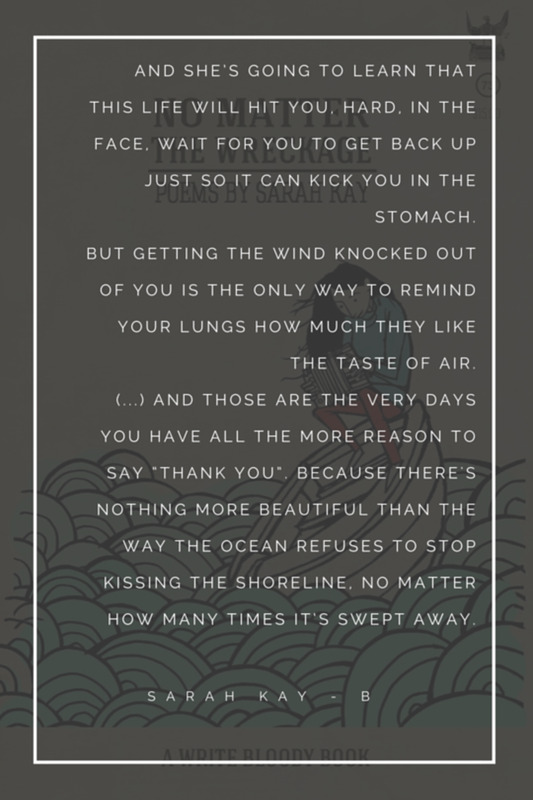 Not only that I connected with her poem, I also gained hope. That is one reason I love Sarah Kay’s poetry: the listener feels it, rather than hears it. It captured me. Not being able to express harmoniously who you are, your essence, due to self-imposed or exterior reasons, equals not fully living. Still, arriving at authenticity implies effort, mistakes, and failure. My epiphany was: it’s scary not knowing, it’s scary not winning. Nevertheless, if I were to dispense advice to my daughter, I would definitely desire to be the mother that encourages her to fail, rather than have her not fully live. My first truth is I love life, as I still I am afraid of emptiness. "And she's going to learn that this life will hit you hard in the face, wait for you to get back up just so it can kick you in the stomach." My feelings of wonder resurfaced when I read her book of poetry published in 2014, No Matter the Wreckage. This is a collection of poems written between 2004-2014, illustrated by Sophia Janowitz. Sarah’s rhythmicity in reciting was present in my mind. While reading, I almost heard her. That was one level of connecting. 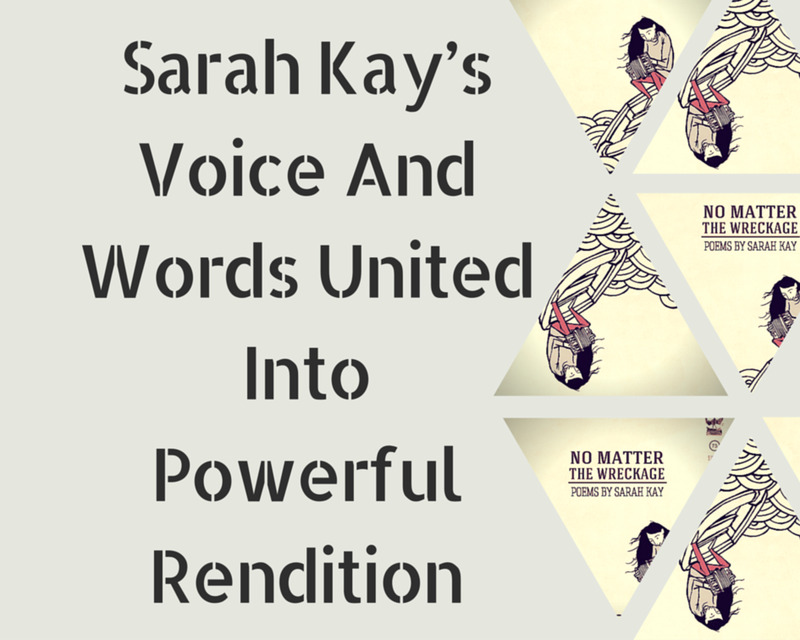 On her Facebook page, Sarah announced that she is recording the audio book version of No matter the wreckage, the option to indeed hear her voice will exist. The book was my comfort while being sick. A virus altered my health, and I stayed in bed for a few days. Isolating moments. Again her poetry ignited something in me. After I finished the book I wrote two poems. Too dramatic, and perhaps too much inspired by what I’ve read, yet her poetry taught me something. Sarah Kay is also a teacher. 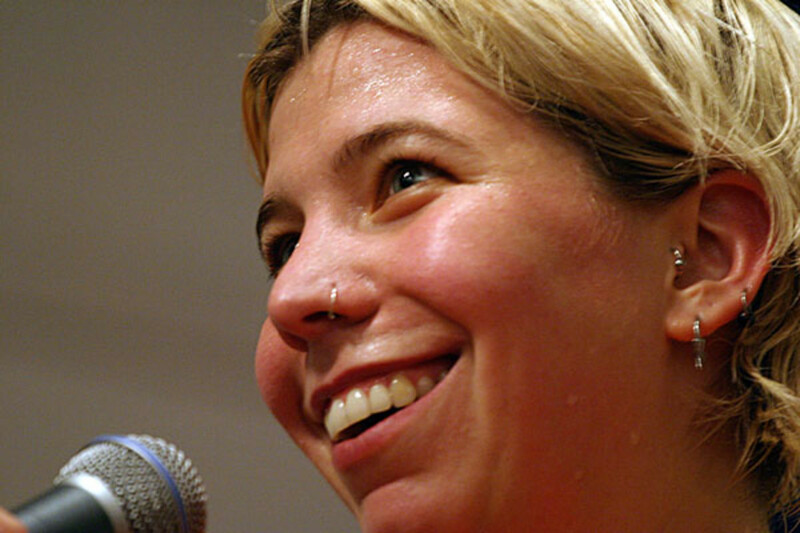 Now 27, when beginning college she initiated with fellow spoken poetry writer Phil Kaye, Project V.O.I.C.E. 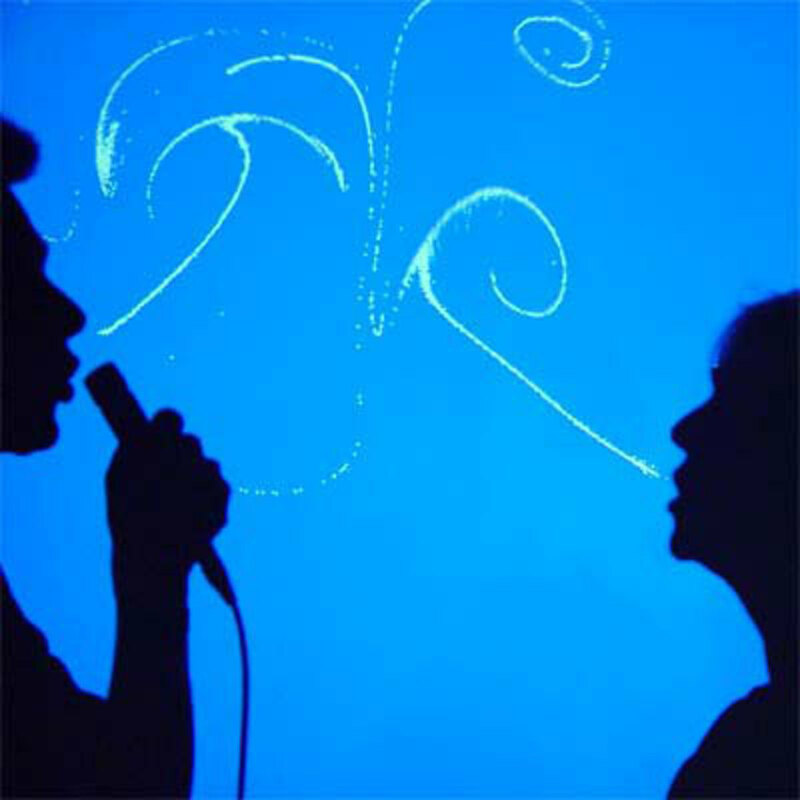 Today, in the project, an extended team of poets offers personal development through poetry. This is a global initiative. Needless to say, I envy their students. "Most days, waking is the hardest. 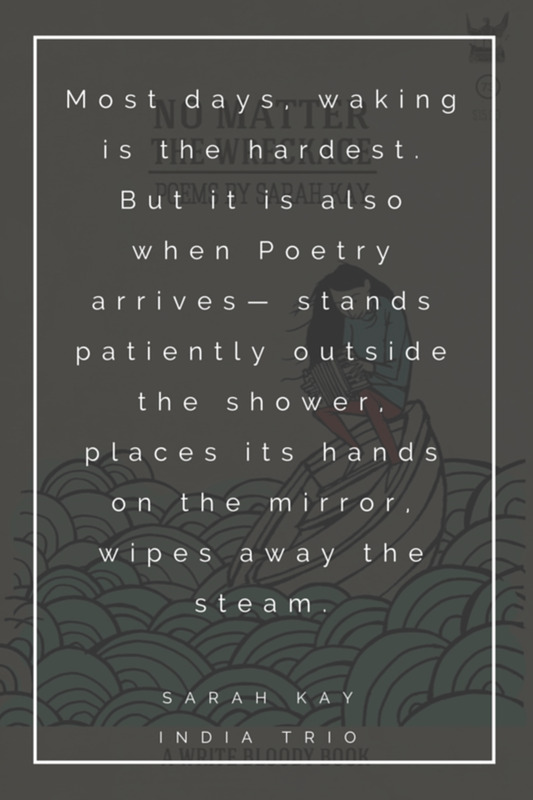 But it is also when Poetry arrives- stands patiently outside the shower, places its hands on the mirror, wipes away the steam." My reading experience equals admiration for her and thrill for the self-expression I achieved. Sarah mentioned she writes poetry to figure out life. Also, that as a child she thought that she’d have the chance to be everything, experience everything. Thereafter, the disappointment lived when she realized how limiting life can be. Poetry was thus the path for experiencing beyond what reality permitted. 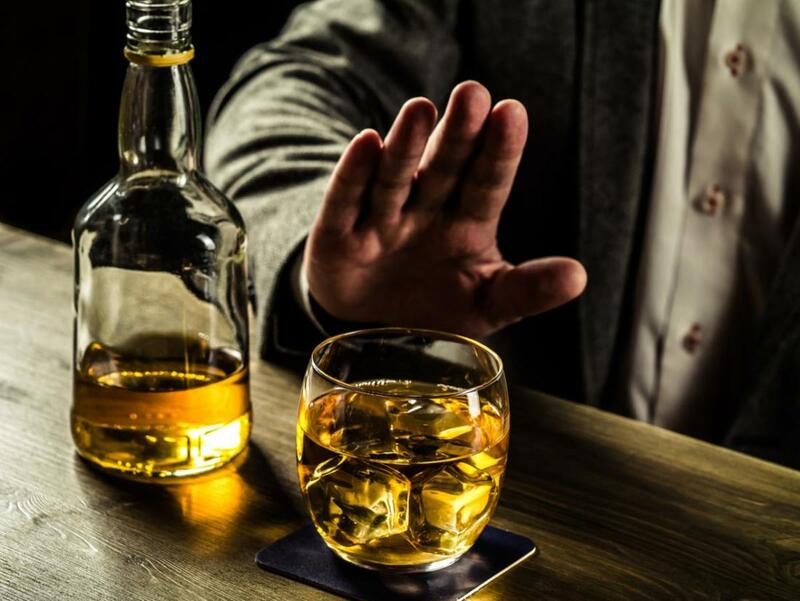 Sarah made the decision to still express her life's experience, even though that was not of an omniscient's being, just one of an adolescent living in New York, then of a young woman leaving from and returning to New York. "You—tall, dark and speeding. Me—bottomless pit of bad reflexes. What a perfect match. I wish I had had more time to prepare, I could have gotten dressed up for the occasion." I went along with her. No Matter the Wreckage collects poems she has performed and poems written, never intended for performance. Through her poetry, I witnessed love, emotional roller coasters, New York, family, teaching, parts of the world farther than New York, life. I have favorite quotes from several poems, and I’ll return to this book to relive emotions. It is a book for discovering and empathizing. When I was a child, I believed all people are the same. That what they did in their lifetime was something given, rather than a choice. I struggled with figuring out what was given to me. I remember reading of explorers and inventors and feeling guilty I hadn’t invented anything. I’ve carried a feeling of being lost among people and options even to my mature years. For weeks I tried to write a poem from my point of view. Poetry didn’t arrive, instead I arrived closer to a personal viewpoint. That is my second truth, and how I am still defining myself. For my third truth, this book choice and recommendation are me fighting the blue. 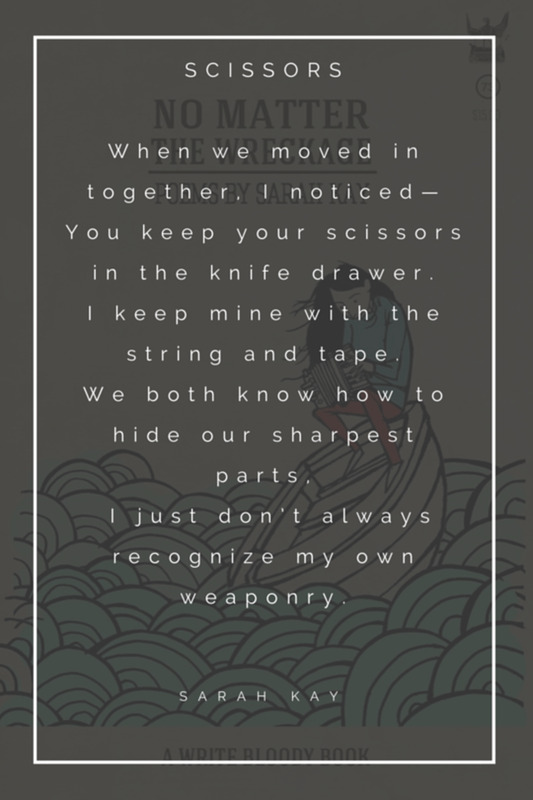 "When we moved in together I noticed- You keep your scissors in the knife drawer. I keep mine with the string and tape. We both know how to hide our sharpest parts, I just don’t always recognize my own weaponry. " "THE BRACELET OF OUR KNOWLEDGE"